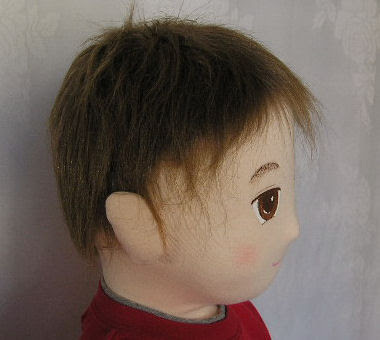 It is easy to make doll's hair with fur fabric. 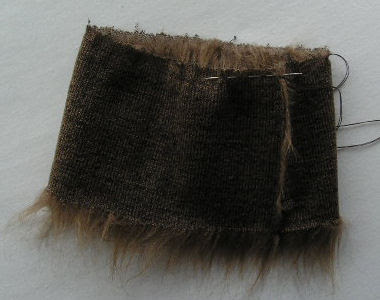 Sew up the both sides of rectangle fur. 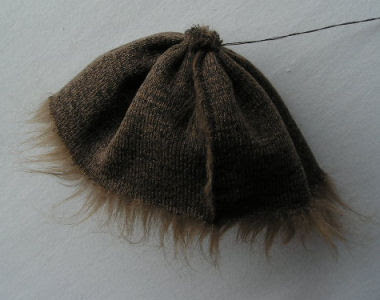 Make a cap by gathering the upper. Attach it to the doll's head. This example is life size boy doll. If doll is smaller, a trapezoid is good. Please refer to this page.